Copyright (c) 2009 Scandans. All rights reserved. 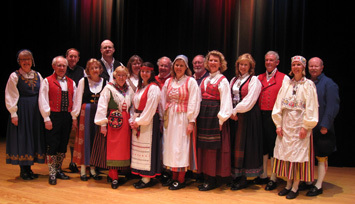 Scandans performs the folk dances of Sweden, Norway, Denmark and Finland in the folk costumes of each country. In 2004, the group added a Viking presentation to its ever expanding repertoire. Scandans educates and entertains diverse audiences at local, regional and national events.